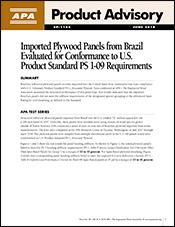 This standard, produced by the Secretariat of the International Plant Protection Convention (IPPC), describes phytosanitary measures that reduce the risk of the introduction and spread of quarantine pests that are associated with the movement within the international trade of wood packaging material made from raw wood. Dunnage is included under this standard, but wood packaging made from wood processed in such a way that it is free from pests (e.g., plywood) is excluded. The phytosanitary measures described in this standard are not intended to provide ongoing protection from contaminating pests or other organisms. Pests associated with wood packaging material are known to have negative impacts on forest health and biodiversity. This standard was implemented to reduce the spread of pests and their negative impacts. Methyl bromide treatment is included in this standard due to the absence of alternative treatments in certain situations or the availability of other appropriate packaging materials. Methyl bromide is known to deplete the ozone layer. An IPPC recommendation on the replacement or reduction of the use of methyl bromide as a phytosanitary measure (CPM, 2008) has been adopted in relation to this issue. Environmentally friendly alternative treatments are being pursued. All forms of wood packaging material that could serve as a pathway for pests posing a risk mainly to living trees are covered in these guidelines. These materials could include crates, boxes, packing cases, dunnage, pallets, cable drums and spools/reels. These materials may be present in any imported consignment, including those that would not normally be subject to phytosanitary inspection. 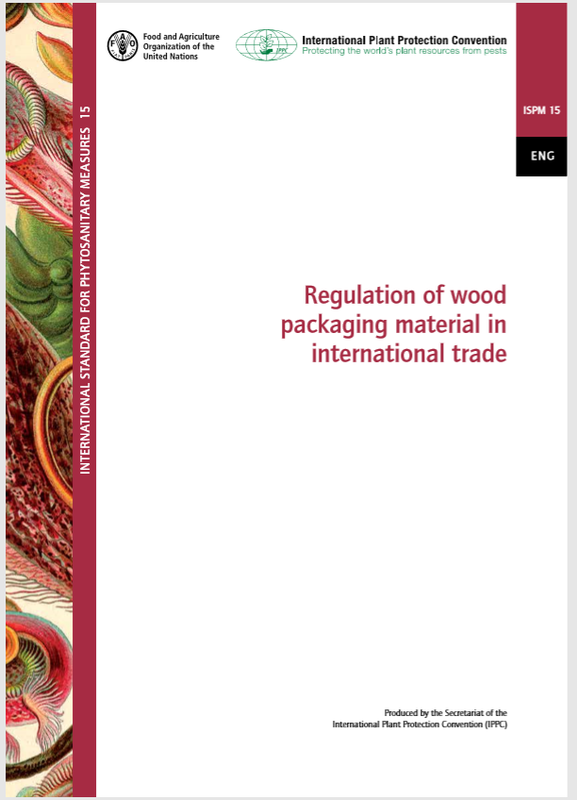 Wood packaging made wholly of processed wood material, such as plywood, particle board, oriented strand board or veneer that has been created using glue, heat, pressure or a combination of these is exempted from the provisions of this standard due to the sufficiently low risk.